Marci Penner, Director of the Kansas Sampler Foundation, made a gracious offer to Cheyenne, Sherman and Wallace Counties to hold the 2nd Annual Big Kansas Road Trip in NW Kansas and the offer was accepted. WOW! What an awesome opportunity to showcase our communities to the rest of Kansas and beyond. Plans for the Big Kansas Road Trip are moving fast and our Visitors will be here before we know it. For anyone who wants to improve their customer service skills (Businesses or Individuals), the Kansas Tourism Office offers an online course in Customer Service called Kansas At Your Service. There is no charge and a Certificate of Completion can be printed off at the end. The course can be accessed at www.travelks.com/.../kansas-at-your-service.This statewide standardized customer service training, emphasizes the importance of quality customer service and equips employees of Kansas with tools and resources to better serve our visitors. Is our First Impression good to go, or do we have some sprucing up to do? Both Bird City and St. Francis participated in the First Impressions Program where we exchanged places with another community who visited us and told what us what was good about our communities and what needed improvement. Maybe an area needed a bit of sprucing up with a coat of paint, trash needed to be picked up, dead trees needed to be removed, or signs needed to be re-painted or installed so Visitors could easily navigate our cities. Please do your part to make a great First Impression. Each county will have an Information Center where final schedules and other information will be available. Notebooks for Visitors to sign will also be available. The Cheyenne County location will be the Cheyenne County Museum on US Highway 36 in St. Francis. There will be a large BKRT Banner at this location. This is next to the Rest Area which is also the Kansas Official Information Kiosk which will have additional flyers and brochures. 12,000 copies of the 52 page Big Kansas Road Trip magazine are being published and distributed around Kansas and beyond. This will include information about the BKRT, maps of the counties and a calendar of events. The publication is expected to be available to the public in late March. If you missed getting your events, open houses, tours, etc. for submission in the magazine, there is still time to submit your information for the Final Schedule which will be available during the BKRT. The submission deadline is by April 15, 2019, to CCDC at P.O. Box 255 St. Francis, Kansas 67756 or e-mailed to director@ccdcks.com. As soon as your submission is received, it will be also be submitted for website publication. Visitors will get to experience 2 Time Zones. All events will be listed with Central and Mountain Times. 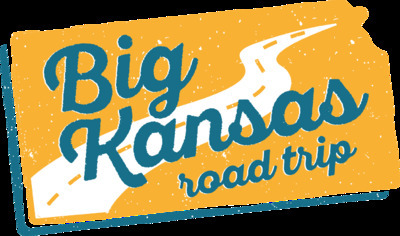 Follow the Big Kansas Road Trip (BKRT) on (and Like) facebook-@bigkansasroadtrip.com; Twitter and instagram-@bigkansasroadtrip.com. www.kansassampler.org-Big Kansas Road Trip. At last, but very important. This event is held to bring visitors into our communities to experience what we have to offer, the way we live, our quality of life and available opportunities. The BKRT is also for local residents to get out and see what�s happening in Cheyenne, Sherman and Wallace counties, so make plans to attend the event on May 2-5, 2019. We are all blessed with an opportunity to bring greater joy and prosperity to this world. The hand we are dealt simply makes life interesting. The secret to it all is in how we perceive things. Is your life �half-empty� or �half-full�? More importantly, what is even �in your glass,� and how long have you been holding on to it? The Cheyenne County Development Corporation (CCDC) held the Annual Meeting on Monday, October 29, 2018, at 7:00 p.m. at the St. Francis Community JR/SR High School Cafeteria in St. Francis, Kansas. Many thanks to outgoing Board Members Tammy Grice and Dennis Weeden. Newly elected Board Members are Kary Zweygardt, Bud Erskin and Justin Culwell. Guest Speaker was Sue Stringer, Byways & Agri-Tourism Manager for the Kansas Department of Wildlife, Parks & Tourism, who gave an excellent presentation on the Kansas Byways and Agri-Tourism. Thanks you to the staff for the use of the school and setting up for the meeting. The State of Kansas is pleased to announce a, FREE online customer service training class called "Kansas At Your Service". The need for customer service training has been discussed for several years by retail, lodging, and restaurant establishments. They needed and wanted something that worked and we believe we have developed such a tool. Kansas' tourism industry is one of state's top employers and is a leading contributor to Kansas' great way of life. It encompasses careers in many fields including hotels, restaurants, museums, performing arts centers, convention centers, retail stores, campgrounds, state parks, national parks, visitor attractions, wineries, tour operators and many, many more professions. The continued success of the state's tourism industry directly depends on first class service that will make our visitors' Kansas experience memorable. That's where Kansas At Your Service comes in. The Kansas At Your Service system of customer service will provide the type of service that will keep visitors coming back to Kansas visit after visit. The Kansas At Your Service program is a statewide customer service training certification program created to support the development of the tourism & hospitality industry through enhanced guest experiences. It provides statewide standardized customer service training, emphasizes the importance of quality customer service in the Tourism & Hospitality Industry, and equips employees statewide with tools and resources to better serve our visitors. The web-based certification training, available in both English and Spanish, is offered at no charge and after completing the Kansas At Your Service online program a personalized certificate, which is recognized by employers throughout the state as a symbol of expertise in service and knowledge of the key success factors in Kansas' visitor industry, can be printed off. Once the Kansas At Your Service hospitality course is completed, then the user will be able to move onto the regional destination courses. The Manhattan Convention and Visitors Bureau and Wetlands & Wildlife National Scenic Byway are the two destinations that have been instrumental in getting this program off the ground and running and each have the courses available. Once their regional courses are taken, a completion certificate will be available as well. Kansas Department of Wildlife, Parks & Tourism collaborated with Peter Starks of the Red Global Group, LLC to create motivating yet common sense training modules. The behavioral vignettes deal with those everyday "transactions" which either make or break an otherwise memorable experience. The modules bring it right home, demonstrating that service, attitude, attention and sincerity make the difference. The Cheyenne County clinics are eligible to treat veterans. Veterans can call 1-885-722-2838 (press option 1 when asked if they are a VA patient, and then press 0) to speak with a representative so an appointment can be scheduled. More information can also be obtained on the hospital's facebook site. The Arikaree Breaks and other videos that were made by the Northwest Kansas Travel Council and produced by Martha Slater several years ago can be seen by visiting the website www.northwestkansas.org and hover over the �Tours� link on the Menu to see links to all three videos.